It is often said that women love to verbalize their love, while men like to show it in other ways. If you’re feeling like your hubby isn’t as verbal as you might like him to be with his affections, don’t despair. There are secret signs you can read that show how he is really feeling about his happy married life. From defending their honor to tickling their legs, men have their own ways of expressing love and devotion to women – and not all of them are crystal clear to the women in their lives! 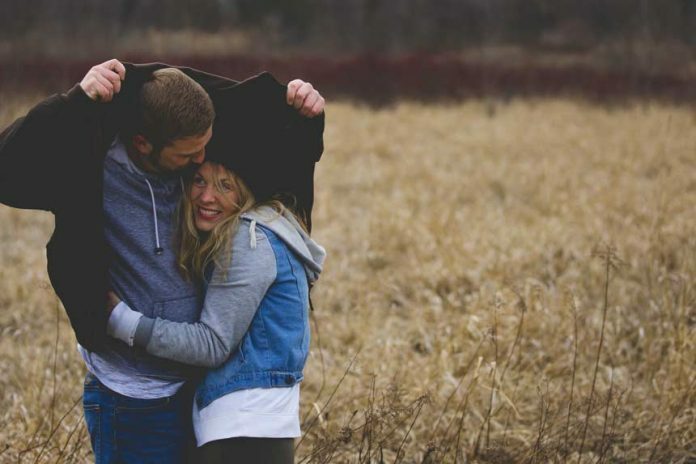 When it comes to love in marriage, there is nothing more important than establishing an intimate connection to your spouse. Intimacy is so much more than getting physical with your spouse. It’s about creating an emotional and physical bond. You will know that your husband is expressing affection when he goes out of his way to communicate with you when he is feeling uneasy. He will share goals, thoughts, feelings, and physical affection with you and he isn’t afraid to be vulnerable. These are wonderful qualities to have in a husband that will assure you of his love for you. It goes without saying that a man who loves his wife would never disrespect her to his friends or family. Saying things about your cooking, cleaning, work-ethic, or sexual habits are completely off-limits in his mind. The only person he wants to discuss these things with is you. Want to know how deep love and marriage really go in your husband’s mind? One secret way men show love is by defending you. Men value their personal time with ‘the guys’. This is the evening they get to connect with friends, watch sports, play video games, and have a couple of drinks. These are all pastimes that are healthy for your husband to pursue on his own. However, one secret way he’ll show his love for you is if he invites you out to a ‘guys night’ event. This means that not even a beer-swilling evening with the guys is worth missing out on spending time with you. This same principle works if he is heading out to spend time with his close family and invites you along. By extending the invitation for you to hang out with the people he loves the most, you can be sure that you make the top of that list. One of the most precious things anyone can give you is their time and their undivided attention. In fact, getting someone’s attention without a cell phone notification getting in the way may be considered ‘true love’ these days. Jokes aside, when your husband loves you he will want to give you his time and affection – no matter what the situation. If you’re heading out for a walk around the block or to pick up a few groceries, he’s down to go with you. If he has a night off, there is no doubt that he wants to spend it with you. This is the sign of real love from your man. Want to know about true love and marriage? If your husband has a happy married life he won’t mind picking up your laundry list of ‘girly’ items from the store. These embarrassing grocery lists may include having him buy bathroom wipes, girly deodorant, picking up the dry-cleaning, shopping for ‘unmentionable’ feminine hygiene products, or fetching your birth control. No matter the embarrassing item, your husband is willing to risk a tinge of public unease just to make you happy. Now that’s love. Apologies can be powerful. Whether you’re discussing who left the toilet seat up or why your sweetheart didn’t call you like they promised, a simple apology can do so much to diffuse a situation. It’s a way of showing respect and empathy and acknowledging wrongdoing. Husbands who love their wives show it by apologizing when they are wrong (and hey, sometimes when he’s right!) because they put their spouse’s feelings above an argument. This is a wonderful quality to have in a partner and shows just how much he loves you. One of the sweetest ways a guy can show he loves and values his wife is by asking for her help and her advice on a matter. This means he values your thoughts, feelings, and intelligence enough to use it as a guidepost for any issues he’s having. Men are often considered ‘fixers’. Whether it’s his wife’s hurt feelings or the broken door handle, men go into a problem with the intent of fixing it as soon as possible. Men can also be proud by nature, which makes him coming to you for advice the ultimate sign that not only does he love you, but he deeply respects your opinions. Is there anything sexier than a man who listens? Some say that men fall short when it comes to listening. From squabbles with her friends to which leggings are her favorite, husband’s who love their wives will listen to whatever is on their minds. Sometimes men can be hard to read, even if that man is your husband! It’s important to remember that men and women show their love in different ways. If your husband is always willing to give you his time, works hard at building intimacy, and respects your opinions, you can be sure he loves you dearly.